80 Years of Experience. And counting. 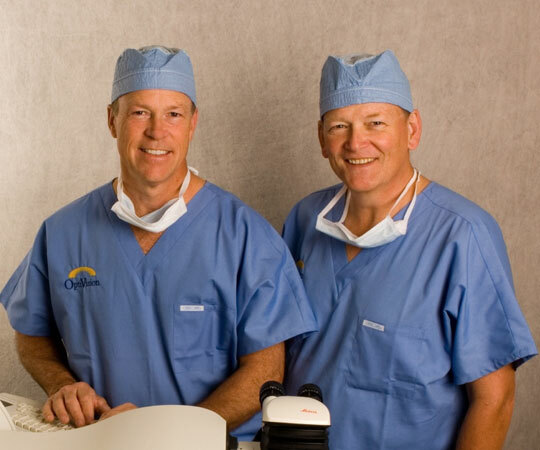 With their combined experience of well over 50,000 ocular procedures, they are the most experienced in Wisconsin. They were the first in the area to introduce laser vision correction in 1990. In addition, they were the first to do LASIK, custom wavefront-optimized treatments, No Drop cataract surgery, Laser Assisted Cataract Surgery and MIGS glaucoma treatments, which means that our surgeons are by far the most experienced in the use of newer technologies. Dr. Dudley and Dr. Clarke develop smooth, consistent surgical techniques that can only lead to improved results and the accumulated expertise of tens of thousands of cases leads to close familiarity with the technology. Our surgeons know the strengths and limitations of the lasers and can determine with great confidence who is a good candidate for LASIK, Laser Assisted Cataract Surgery and, perhaps more importantly, who is not.